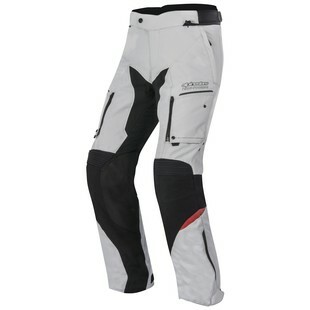 The new Alpinestars Valparaiso 2 Pants are a rare example of the sequel improving on the original production. This new model has removed all of my gripes with the original, leaving a highly desirable all weather Adventure Pant. The addition of a zip in/out waterproof liner, rather than the fixed liner in the original, is the most important of these changes as it allows the pant to be truly comfortable for the summer. This, combined with the enlarged intake vents, allows for direct venting, getting rid of that swampy, interior micro-climate that the previous model created on hot day. A-Stars also beefed up the exterior fabric from 500D Nylon to 600D Polymide, added stretch to the crotch and Ballistic reinforcement panels to the inside of the knees. In the end, the Valaparaiso 2 Pants have become not only more user friendly, but also more Adventure capable, for which I tip my cap to Alpinestars.